Enhance your day with verses from the Bible, along with reflections from Pastor David Jones, Pastor Andy Bondurant, Pastor Matt Shirley, and Pastor Chris Horsley. We pray that you will find the strength, peace, and comfort you need to strengthen your walk with Christ. July 28, 2016 – God’s Purpose or Mine? July 26, 2016 – Time Management God’s Way: What’s on Your To-Don’t List? July 12, 2016 – What is the condition of your heart? June 27, 2016 – Wake Up! June 24, 2016 – Pray! June 7, 2016 – Wanna be a Success? June 3, 2016 – Let’s Do This! June 2, 2016 – Justice! June 1, 2016 – Good Religion? May 19, 2016 -Hazardous Work!! May 10. 2016 – Opposite of Love? May 2, 2016 – Are you a follower or a disciple? April 29, 2016 – Wake Up! April 21, 2016 – Beyond Challenging? April 15, 2016 – Don’t Worry…EAT! April 13, 2016 – Keep on EATING! April 12, 2016 – Come EAT with Us! April 11, 2016 – Eat with us every day this week! April 7, 2016 – Flee. Pursue. April 5, 2016 – 35 Years Ago! March 29, 2016 – Oh no…FOMO! March 28, 2016 – Celebration! March 16, 2016 – Greedy to Generous in 30 days! March 14, 2016 – Rock Chalk Joyhawk! March 10, 2016 – Everybody does that! March 4, 2016 – Honor Who? Them!? Why? March 3, 2016 – What exactly is a whitewashed wall? February 26, 2016 – Are you rich? January 8, 2016 – Wanna take a Walk? 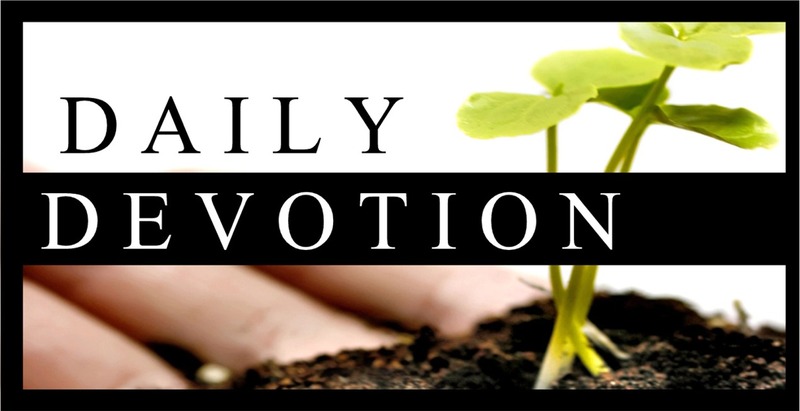 This entry was posted in Daily Devotionals, Slider and tagged Daily Devotions by admin. Bookmark the permalink. Thanks for the nice job. This should make things much easier for all. Please DO send reminders, though. I get so busy I could very easily forget to check! I’m so very grateful for my Church Family and my family’s prayers regarding my health. Your prayers do more than sustain my life, they give me my life back. Blessings to you all and have a wonderful Thanksgiving. Great devotions! I encourage everyone to read along. Keep sending out the email reminders. Love you David! God Bless you and Heather…What a mighty God we serve! The Lord is the one and only True God Most High. He gives grace, wisdom, protection, and showers with blessing those that love and attempt to serve Him, though He owes them nothing and they have nothing of value to offer Him in return. His love is beyond description and understanding. He makes a way for me where there seems to be no way. He gives me blessings I do not ask for that are better than I could possibly imagine or dream. He makes my designs succeed when older, wiser men doubt. He elevates me in the eyes of others even through my own self doubt. He protects me from my own impatience and poor choices. He does not give me what I deserve. I am not lucky. I am not that smart. I am the Lord’s and His love for me is unmistakable, crushing, and completely undeserved. My trust is in the Lord. He has my attention and I pray He helps me keep my eyes on Him through the good and bad times that are sure to come my way. I will follow Him forever. God, You are everlasting. Your power reaches into and throughout all places. Yet you are kind and merciful to the humble. You give grace to the those in need. You have taken me from shame, and lifted me to honor. You have reminded me of who I am in You. You have saved me from my greatest enemy – myself. You turn my poor and selfish choices into your glory. Thank you, God. Thank you for your patience with me. Thank you for never giving up on me. Thank you for saving me and my family. Thank you for being strong on my behalf. I praise you because God you are worthy. Jesus Christ you, who stepped out of eternity, full of compassion and authority, I praise you for your great humility and majesty. I was hurting and broken, lost and without direction. I was forsaken by family, the shame of pain and loss to great to bear. I was at the end, angry and confused, bitter and disgraced. Then You came through! You rose victorious. You broke into my pain and brought day from night. Your hand put me back together. You saved my soul! I was overcome by the wicked, by those who cursed your name. I was an outcast, I was innocent and lonely. I had no one but You. You were by my side when temptation came, you were there when I was running from the pain of others. You rose up and on my behalf defeated those who railed against you! You surrounded me with love, you placed me in a new family and brought joy and peace and love when all around was despair. God, almighty, you are gracious to your people. No man can love as purely or fight as strongly for those they love. The world is yours to command. No man is safe/immune/hidden from your hand. No man can escape your presence or your command. When I was struggling, you were moving the world around me for my gain. I was in pain and difficult agony and you were preparing a celebration of joy at the end of my dangerous path. I will praise you with my mouth. I will praise you with the works of my hands. I will spread your goodness to all that I can because you are worthy of all worship. You earned it with kindness to your people, but did not have to. Your deliverance is powerful, it’s is strong, swift and your judgements are final. God is my strength and provider. He gives me faith and purpose each day. As I look to the majestic mountains, they do not compare to the majesty of Jesus. He didn’t just create the mountains but the whole world. I find rest and peace at the foot of the mountains by the rushing stream. Just the sound of a river can bring a feeling of peace. How much more so than the stream of God’s divine grace. A steam runs continually fresh from the mountains that provide life for the whole valley. Gods grace to me is like that stream of life. When I face the worry for my personal family and my church family. I get overwhelmed that I cannot do it in my strength. I find myself by the river needed a drink from Gods river where he gives me strength to face each day. Amen and Amen the Lord is mighty and faithful his promises are yeh and Amen. hi to meet our selfish desires. Yet! ,yet!, in His sovereignty He desire that we be a sanctuary tried and so true with thanks giving for Him that He may be glorified.